Adam is the leading vampire villain in Abraham Lincoln: Vampire Hunter. He pushes America to its breaking in his master plan to create a nation for vampires. Rufus Sewell played the role well. I threw Danica Talos in here because I loved her character. She was that vampire who you loved to hate but brought a lot to the story. She is bitchy and devious. 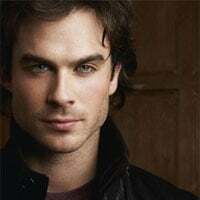 Damon Salvatore starts off as the first villain in The Vampire Diaries Mystic Falls. Brother Stefan falls for the doppleganger of the vampire who made them into vampires. But Damon wants her as well and there goes our love triangle. 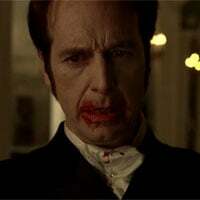 Russell Edgington quickly becomes the vampire you love to hate. He starts off as a vary high placed vampire in the vampire hiereichy. We also learn that he has a sinister past that features Eric Northman on the bad end. Russel finds a new blood source that allows him to walk in the daylight. With that much power he must be stopped fast. He also makes a comeback in the next season and does not lose his touch as a major villain. 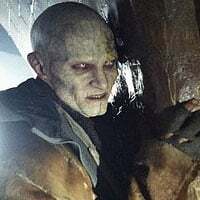 Nomak was the major villain in Blade 2 and the vampires in this installment. He and his minions fed on the blood of vampires thus the hunters became the prey. The vampires turned to Blade for help in which he gladly said yes to join in order to get first hand intel on the latest tricks the vampires were using. Nomak ended up being the son of the great vampire in the movie and the latest evolution of vampires. These vampires were seriously hard to kill. They were intended to improve on the weaknesses of vampires and Nomak was the first of his kind. 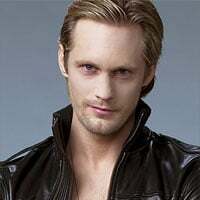 Eric the Northman is one of the oldest vampires in True Blood. He is also a big favorite with many because his strength is often unrivaled. Eric develops a huge affection for Sookie and they we have our love triangle. Russell Edgington and Eric have a history together that can only be settled one way. Drusilla is that vampire that was turned by Angelus. He stalked her until she went crazy. Then he turned her into a vampire. She is totally demented and crazy. This combination makes her a great candidate as a vampire villain. She teams up with Spike in Buffy the Vampire Slayer and together they wreak havoc on the town. Drusilla was not added to the list as a true top 10 member but her posistion is dependant on her votes from the fans of this list. Deacon Frost is the little man villain in Blade co-starring along side Wesley Snipes. 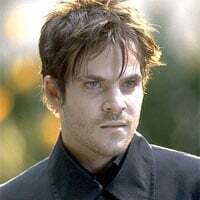 Deacon Frost was ruthless and in a sense Blades Vampire father. Deacon took down the vampire council and had grand visions of becoming a vampire god. Angelus was in Buffy the Vampire Slayer as Buffys love interest. He was once one of the cruelist vampires to ever plague the earth. Then he stalked and tormented Drusilla until he finally turned her after she went crazy. Angelus was then cursed with his soul and had to live with all the cruel things that he had done in the past. He meets Buffy and love ensues only to have him lose his soul again for some time and become a major villain again. He later gets his soul back and leaves Buffy to start his own Angel series. 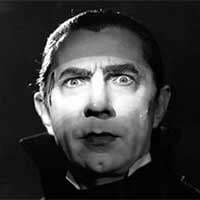 Bela Lugosi played the first classic Dracula role in which he had the classic bright light reflected onto his eyes only. This look has been burned in my memory whenever I think of Bela Lugosi, the famous Hungarian-American actor. 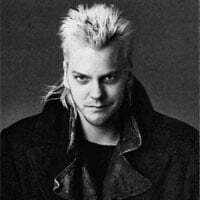 David from The Lost Boys is a very iconic character of my generation. He was the very image of the cool vampire. He persauded Michael to become a vampire and join the gang. Michael however would not. Michael and his brother team up with The Frog Brothers and take down the vampires of Santa Carla, California. 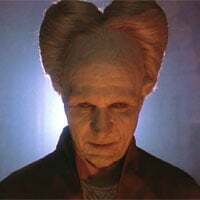 Bram Stokers Dracula played by Gary Oldman is a old favorite of mine. 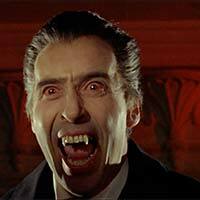 I simply loved the movie and we get to see a very full aspect of the iconic Dracula. Dracula is ruthless, romantic and a powerful villain. The single greatest thing to come out of the classic vampire Hammer Films would have to be every appearance that Christopher Lee appeared as Dracula. Christopher Lee commands the role in such an intensive fiery way that everyone expects some sought of performance like his. Fun little tidbit is that Lee wanted to end his role as Dracula long ago but kept accepting the role out of emotional blackmail. 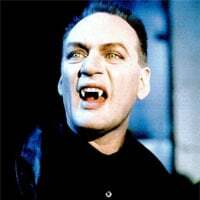 Our Top Vampire Villains List is our tribute to showcase some of the greatest and most memorable vampires in movies/TV. The list does focus on more recent movies and TV shows initially but is an ongoing list. Let us work together to build this list up to somewhere around 50 nominees to vote on. Positions are based on everyones votes so if you do not like the current position, remember, that position is where other horror fans collectively voted to place that villain. Even I am excited to see how this top list plays out! We tried to list as many vampire villains as posible without getting the initial list too large. If there is a vampire villain that you would like to see here, simply leave a comment requesting that vampire villain be added. Hateful comments will be deleted without hesitiation so let's keep the list fun! Hatefull comments will be removed immediately, let's keep it mature. We tried not to reveal too much about the movie plots that the vampires come from. Positioning is dependent on your votes so please take time to vote your favorites up and your least favorites down.